Kidney paired donation or kidney “swaps” not only receive a lot of media, but are quickly becoming the “treatment” of choice for incompatible donor recipient pairs. 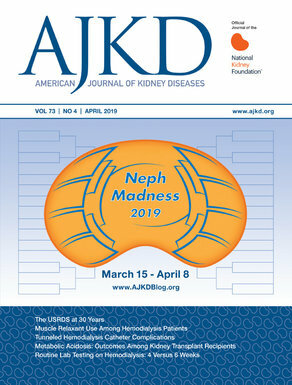 Two abstracts in the late breaking oral session were devoted to a major milestone in kidney paired exchange: 1000 paired donations within one organization — the National Kidney Registry. These two sessions helped answer a lot of questions — who is getting transplanted? Who is not getting transplanted? Is it safe? Dr. Flechner and Dr. Treat presented characteristics of transplanted donors and recipients, and outcomes. Transplants were facilitated via 48 “loops” and 192 chains that ranged in length from 2 to 30 pairs. 761 of the kidneys were shipped to the recipient with a median cold ischemia time of 9 hours (ranged up to 25 hrs). Recipients were predominantly Caucasian, with African Americans constituting 15.6%, Hispanic 10.2%, and Asian 6%. 41% of the transplants were in pre-emptive recipients. Most patients required 3-6 months to be transplanted with blood type O recipients, with highly sensitized recipients waiting the longest. Interestingly some patients still underwent desensitization in addition to paired exchange for lower level HLA antibodies. To summarize the outcome results – they were good. Graft outcome and patient survival at 1 and 3 years was comparable to nationally published outcome of living donor transplants in the SRTR (Scientific Registry of Transplant Recipients). Delayed graft function (DGF — requiring dialysis in the first week post transplant) was seen in 5% of paired exchanges versus 3% in the SRTR. Primary non-function was seen less with paired exchange (0.4% vs 1.9% ns). DGF was more common with donors > age 60, and when cold time was >10 hours compared to <2 hours. Again — big milestone for kidney paired exchange. There are still issues that need to be sorted out like long-term outcomes in patients with DGF and finding compatible donors more quickly for those recipients who are blood type O and highly sensitized. Regardless, compared to outcomes seen with desensitization, paired exchange should be first line solution for most donor recipient incompatibility.